Posted December 20, 2018 by AFP Toronto & filed under Announcement, Career Development, Congress, Speakers, Special Events. Posted December 17, 2018 by AFP Toronto & filed under Congress, Diversity, Opinion, Special Events. AFP Toronto’s Congress was an empowering and highly personal experience that is changing my outlook towards the fundraising sector. But it didn’t start off that way. It started with my arms crossed against my chest and my mouth drawn tightly into a straight line. It was a frown to be honest, but it could have been mistaken for concentration. Hadiya Roderique was giving the first plenary speech at Congress, Canada’s premiere educational forum for fundraisers. Ms. Roderique’s experience as a black lawyer on Bay Street made front page news of the Globe and Mail last fall, and here, her powerful and informed speech tackled the racism and exclusion present in Canada’s corporate culture. 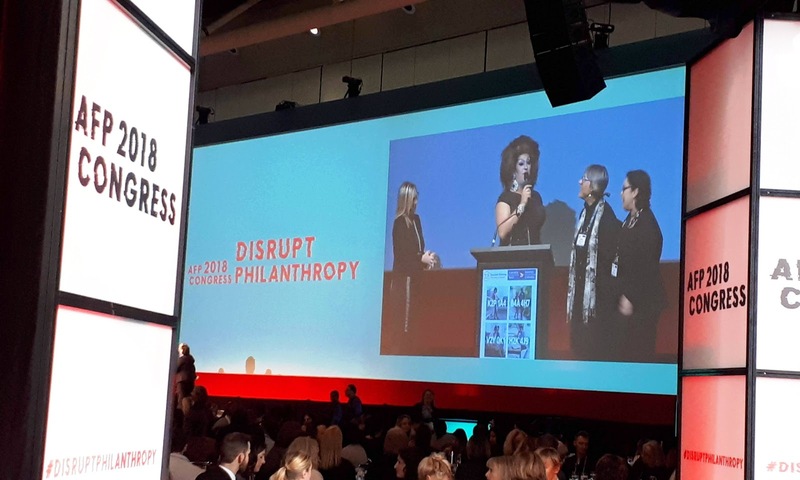 Her observations, statistics and personal experience brought the conference’s theme, “Disrupt Philanthropy” sharply into focus. It showed that philanthropic culture in Canada was not immune to the “-isms” that affect other sectors. For me it touched a nerve that I was used to covering up. Well, that’s exactly what she was doing. Head on. I too am a black woman. I am a fundraiser working in Ottawa since 2005. I know what it feels like to be the only person of colour in a crowded room. But I don’t talk about it. Instead I’ve gotten used to the discomfort and moved on. But am I moving? Really? Posted December 10, 2018 by AFP Toronto & filed under Congress, Leadership/Management, Next Generation Philanthropy, Opinion, Special Events. In my previous article on AFP Congress 2018, we explored how charities can reverse declining revenues by delighting donors, more specifically, by personalizing communications, running experiential events, and designing frictionless webpages. Ultimately, it’s people that drive and nurture such decisions, but how do we facilitate this kind of innovation and disruption? We do it through transformational leadership which requires introspection followed by extrospection. Originally published on LinkedIn by Debra Thompson. As I sit here on this unseasonably cold November day, I am reflective. 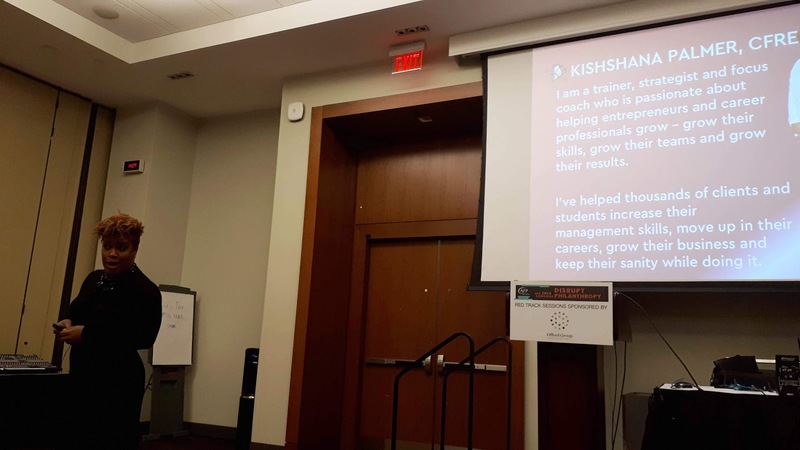 This week, I spent 3 days in Toronto, starting very early Monday morning, at my very first AFP (Association of Fundraising Professionals) Toronto Congress and I am in awe. Before I share why, let’s take a step back. With AFP Congress only a few weeks away, I’m starting to get excited to reconnect with my fundraising friends, meet some new contacts, and learn a few tips and tricks to help me excel in my role. While some people find conferences overwhelming (they are), with a little preparation, they can be very rewarding. Here’s what I like to do in order to maximize my Congress experience. Whether you’re planning to meet specific people or just chatting with the person beside you at lunch, Congress is the perfect opportunity to connect with other great minds in our sector. I like to have a couple of questions prepared, so I don’t feel like a robot asking everyone I meet the same thing. It’s okay to write down some notes, especially if there is a key person you’d like to chat with. I also like to connect with new contacts on LinkedIn right away. It’s a great platform to grow your network and communicate with like-minded professionals in the industry. Try to send a personal message noting where you met. This can be a hard one for all of us, especially when there is temptation to check your email constantly throughout the day. Since I’ve made the commitment to attend Congress and learn something new, I do my best to focus my attention on the session content instead of worrying what’s going on back at the office. I like to check my email in-between sessions, so not to be distracted from an interesting presentation or discussion. I use my out of office message to let people know that I’m at a conference learning something new that will help make me better at my job.